Missing and murdered Native women - and what happens to their children when they disappear - are at the center of Linda LeGarde Grover's latest novel. This novel about sisters Azure and Rain, whose mother surrendered them to the County and was never seen or heard from again, offers context to news stories about women who seem to vanish without a trace ... and the controversy about what - and who - should decide what happens to their children. 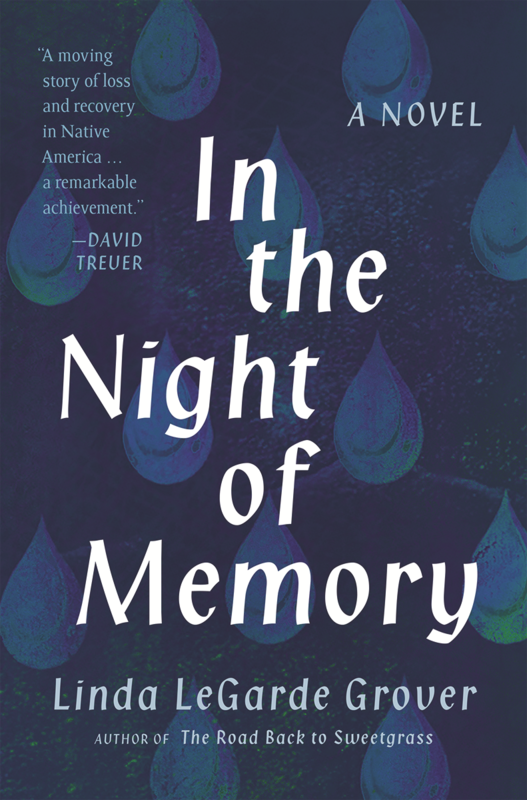 In the Night of Memory by Linda LeGarde Grover is published by the University of Minnesota Press. Linda LeGarde Grover's new collection of poetry, The Sky Watched: Poems of Ojibwe Lives, is not a collection of "pretty poems." They're there, of course, but more often the words are are a slap in the face, delivered with a muted ferocity that leaves the reader first shocked, then speechless. Listen as Linda Legarde Grover introduces her new book, "Onigamiising Seasons of an Ojibwe Year" and talks about the significance. Onigamiising in Ojibwe translates to, "the place of the small portage," which refers to the strip of land separating the bay and harbor near Park Point. Linda had written small excerpts about seasons and met with editors to create this novel. But she knows other things, too. In Canada, a 2016 report found that indigenous women are five times more likely to be victims of homicide than non-indigenous women. But in the United States, says Yellowbird-Chase, there are 1-2% more missing and murdered indigenous men than women. KUMD talks with Andrea Larson, a social worker with St. Louis County's Children and Family Services Indian Child Welfare Unit. She has been recognized by the Minnesota Indian Child Welfare (ICWA) Advisory Council with its first ever Social Worker Award. The ICWA Advisory Council created the award as a way to also acknowledge the good work that is happening in ICWA here in Minnesota. Lorna Landvik shares her thoughts on book signing events, being a shameless "Minnesota booster," and her love of the Minnesota habits that we cling to (like our accents, doncha know). Chronicles of a Radical Hag (with Recipes) is published by the University of Minnesota Press. Information on Lorna Landvik's appearance in Duluth this weekend is here.